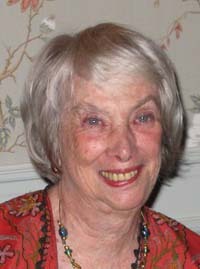 Nancy Angell Streeter, 83, died on Aug. 22, 2012, in New York City after a tenacious battle with cancer. The widow of Frank S. Streeter, Nancy is survived by her three children, Ellen S. Rhodes, Ruth C. Streeter and Meg Streeter Lauck; nine grandchildren, Alex, Emily, Hope, Julia Grace, Constance, Benjamin, Jamie, Macie and Courtney; six great-grandchildren; and her brother Nicholas Angell. A long-time trustee of Wellesley College where she was a founder of Friends of Art, Nancy was also a trustee of the Chapin School and supporter of St. James Church in New York City where she served as a Stephen Minister. She was also a supporter of the Center for Special Studies at New York Hospital and the Asia Society in New York City, and was a former president of the Skating Club of New York. Nancy lived in New York City, Greenwich, Ct., and Sun Valley, Idaho. Contributions in lieu of flowers can be sent to Ice Theatre of New York, 59 Chelsea Piers, Room 5911, New York, NY 10011 and/or The Next Ice Age, Box 65127, Baltimore, MD 21209. A memorial service will be held on Oct. 12 at 4 p.m. at St. James Church, 865 Madison Ave., New York, NY 10021.